I ran my first race since the Stoaked Standard Triathlon on September 24. 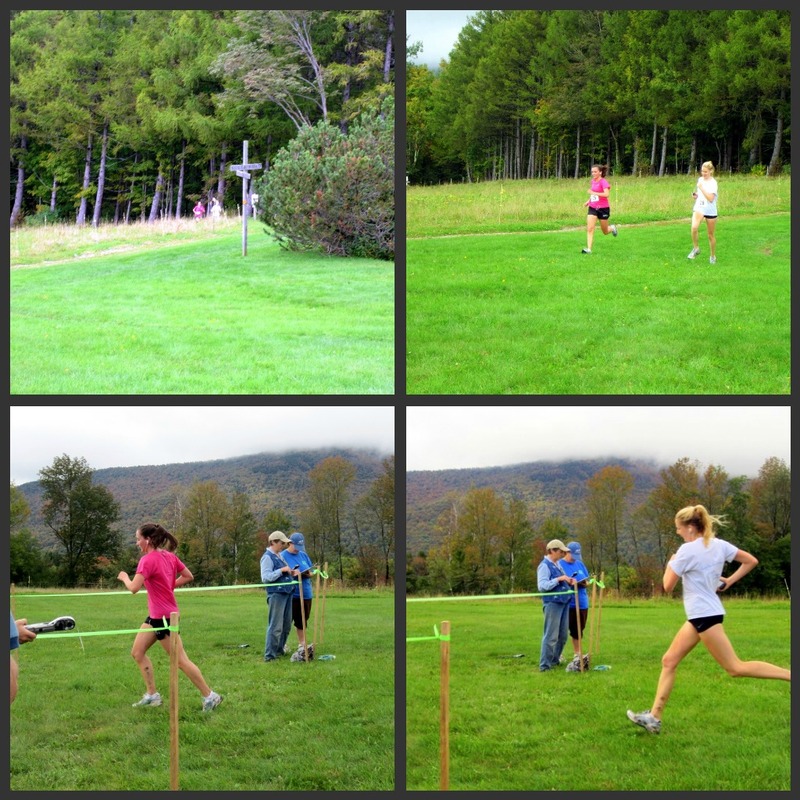 The Trapp Cabin 5k was part of the Stowe Trail Running Series and a lot of fun, made even better by the fact that they shortened it to 4k to make the overall series distance 15k (the previous 2 5k’s came in at 5.5k). Also running that day was Allie, a fellow blogger from Burlington. 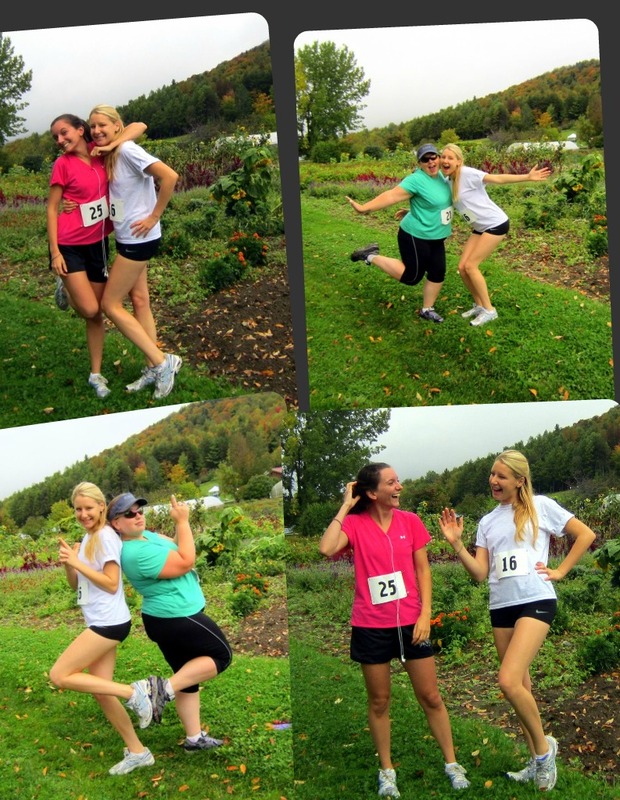 Only Allie was running the 10k, and her awesome friend Marlaina was running with her! Allie (in the white) and Marlaina (in the pink) are fantastic! I can’t wait to hang out with them again. They were so full of energy and good vibes, it was incredibly contagious. Allie and I had been tweeting back and forth ever since I found her blog, Healthy Balance, Healthy Life a few months ago, and the timing was perfect to meet up. Since I was brilliant and forgot my camera at home, I have no pictures of my portion of the race or of me finishing. That is ok. I killed it in 28 minutes and 34 seconds. I have no idea how I ran that fast, even with my walking breaks. I must have been chased by wolves! I did manage to snag Allie’s camera from the car after my run, allowing me to get these great finishing shots of the girls. They were fantastic! 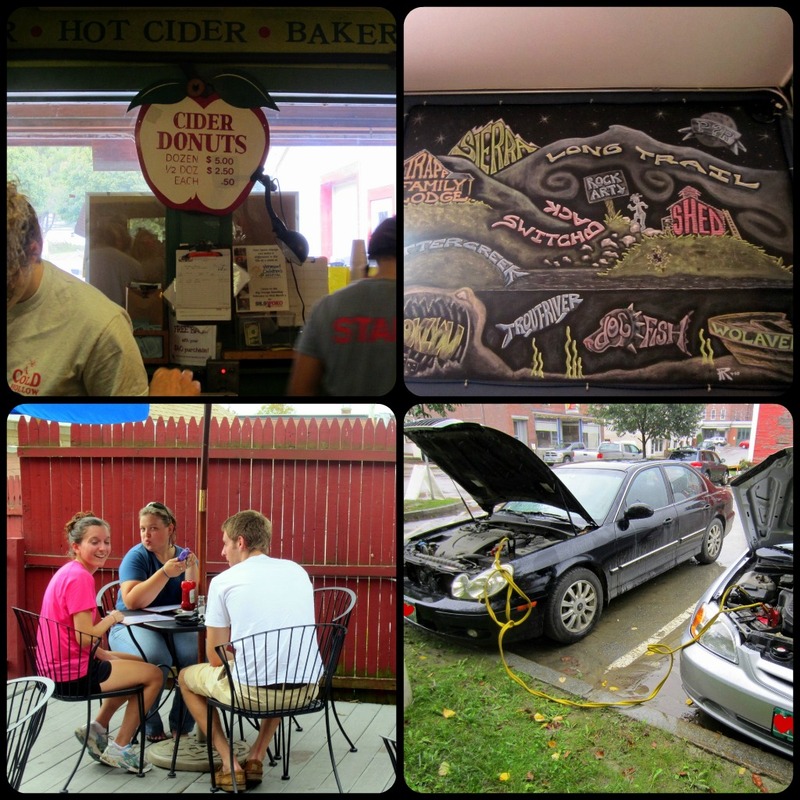 After a quick stop for cider donuts at Cold Hollow Cider Mill, it was time for a beer and food at The Reservoir in Waterbury. This was perhaps the best part of the day. I love sitting around and enjoying friends company. As we walked to our cars in the rain, I hopped in to start up and pull away, only my car wouldn’t start. Somebody left the lights on. Allie got a great mini-lesson on jumping cars, and I got home safe and sound. It was a fantastic day!